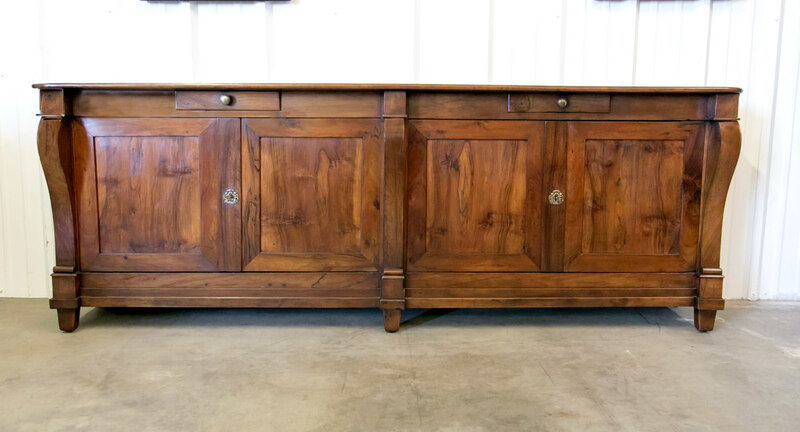 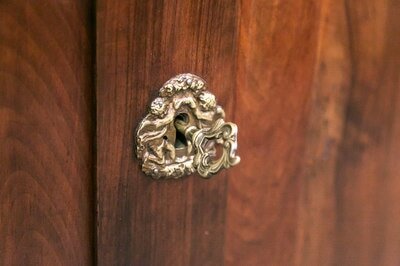 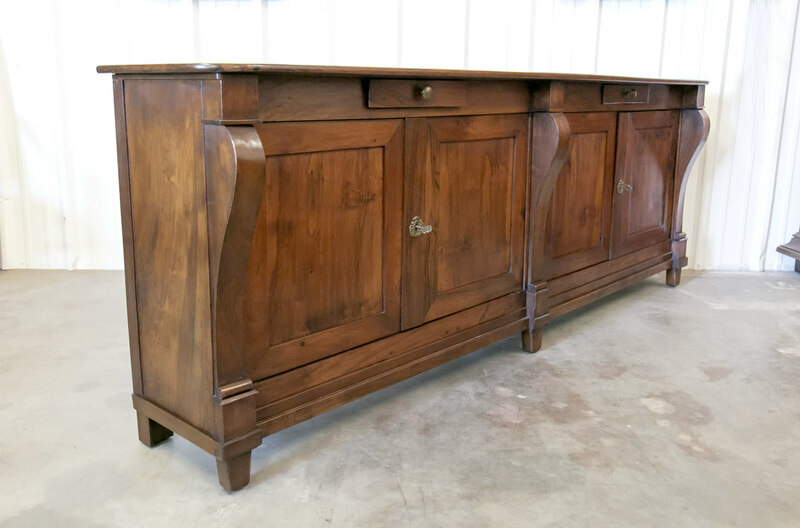 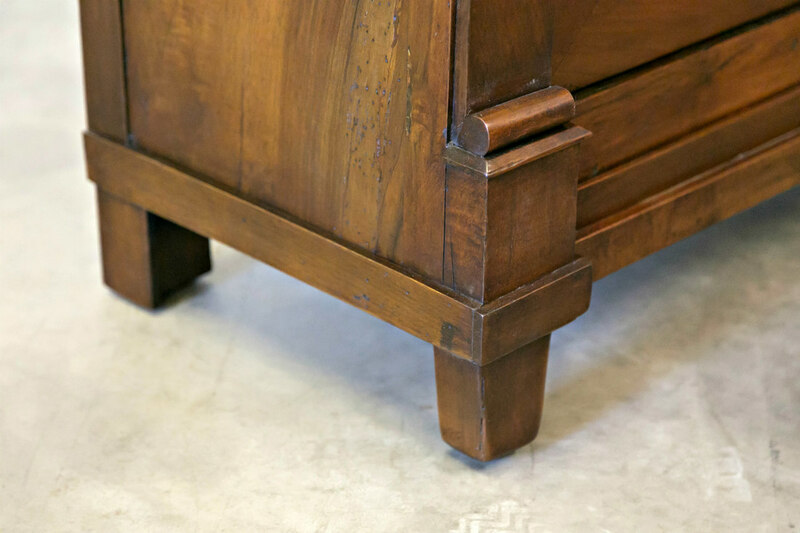 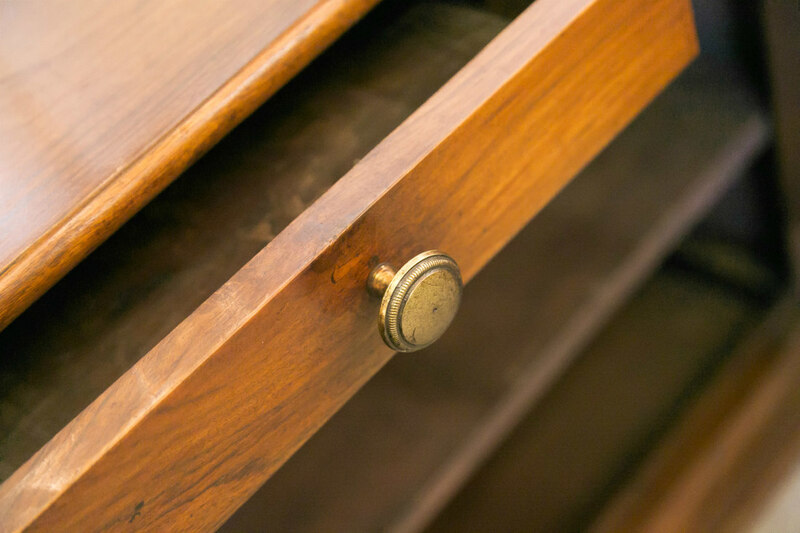 Handsome French Restauration period enfilade handcrafted of solid walnut by skilled artisans near Lyon, having two drawers and four doors. Three scrolling pilasters provide a framework for the four moulded door panels. 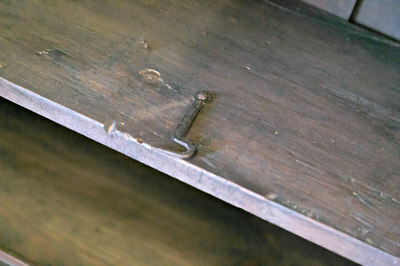 Doors open to reveal a single interior shelf. Raised on short tapered legs. 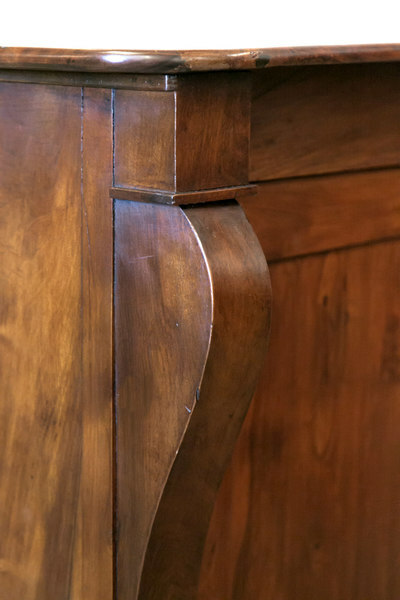 The clean lines, elegant curves, beautiful patina and narrow depth of this versatile enfilade make it highly desirable for today’s modern interiors. 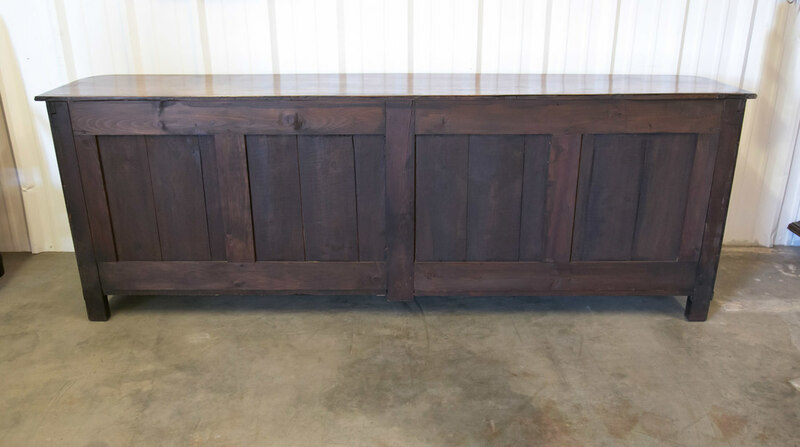 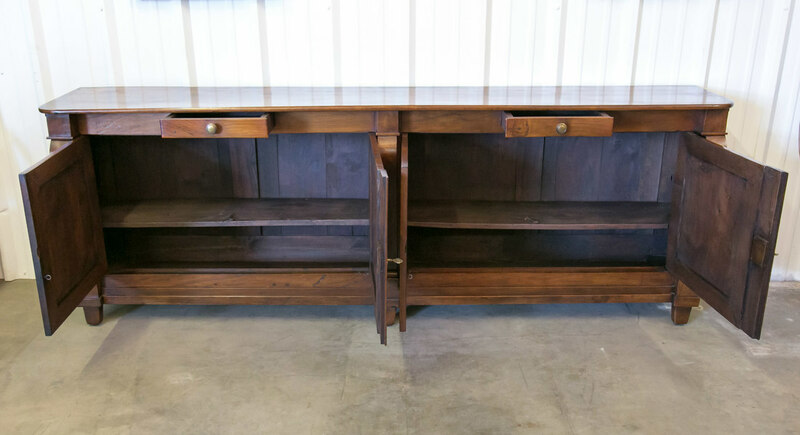 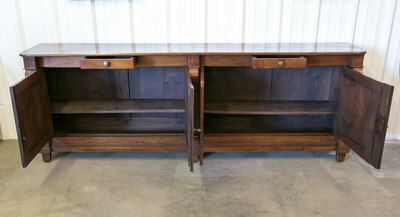 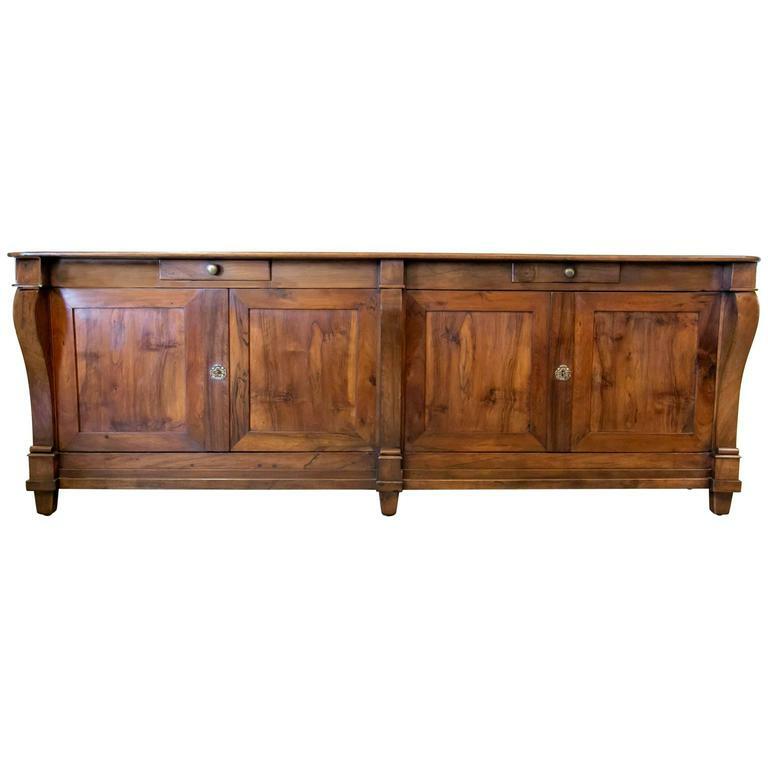 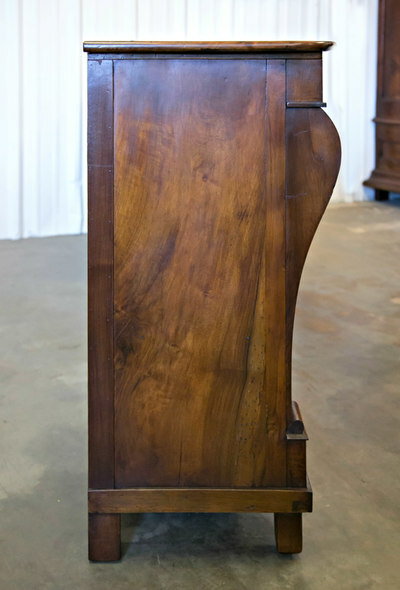 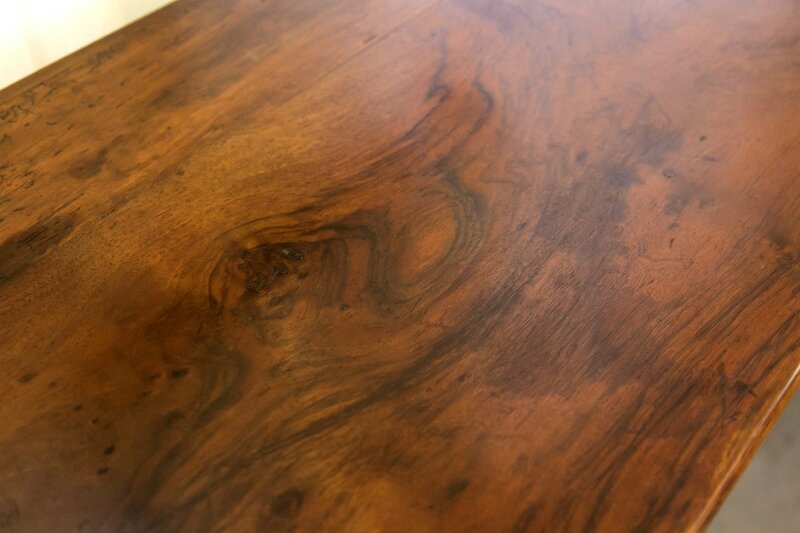 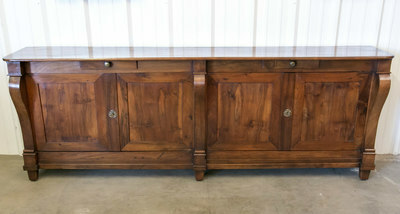 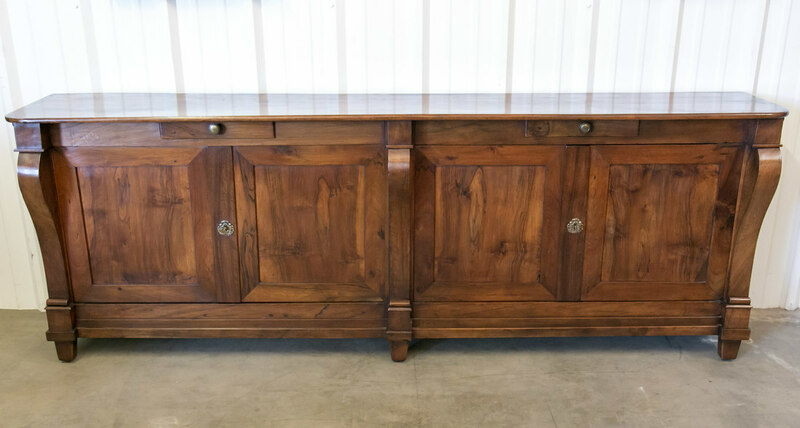 It's perfect for a foyer, hallway, dining room, or as a TV cabinet.